What do Aliens, ADRs and Animal Tests have in common? I have a childhood friend called Jenny and Jenny is susceptible to believing conspiracy theories. Jenny thinks that the Rothschilds control the government and were something to do with 9/11. She also believes that contrails following aircraft are a government mind-control drug emanating from the wings rather than water vapour. 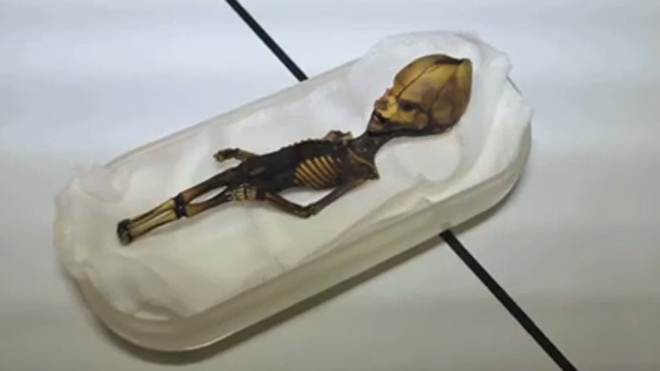 She thinks an alien baby was found in the Atacama Desert (subsequent tests showed it was a deformed human). She’s sure GM food causes cancers. She won’t vaccinate her kids. But has it had its vaccinations? Naturally, Jenny is wrong about all of these things, but is strangely resistant to the explanations when they are presented to her. Vaccines? They’re all for profit. They’re not just ineffective but harmful to human health, and the only reason scientists synthesise them is to make money. Profit is also the motive for lots of other things in Jenny’s head, although the issues she attributes this motive to are mostly scientific in nature. Disney’s not profit-motivated apparently, nor the tobacco company whose product fills her cigarettes. Vodka manufacturers must be motivated by the joy of spreading a rosy-cheeked sense of self-knowledge, rather than profit margins. Similar arguments are deployed by the animal rights movement to criticise research. Researchers, we are told, are simply protecting their fat research grants by undertaking unnecessary animal experiments when they could be utilising “modern alternatives“ such as cell cultures. 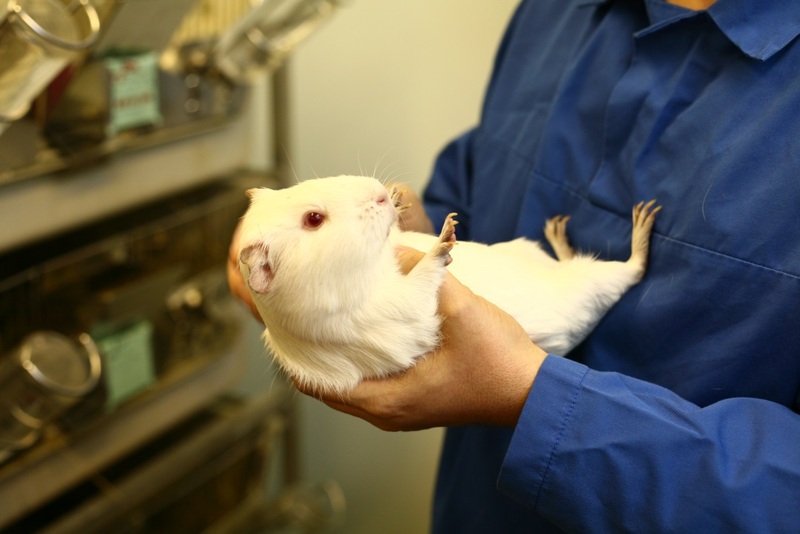 Animal experiments, they say, aren’t just ineffective but actually harmful to humans! Just like the vaccines! Did you know that 9 out of 10 drugs that pass animal tests fail in humans?! The idea that an egoistic love of narrative is the driving force behind some protesters’ concerns also helps to explain why activists might be anti-GM, but believers in climate change. The level of scientific consensus is similar in the cases of GM, climate and animal research, with enough genuine unknowns and doubts for those who wish to flat-out oppose to build a cherry-picked counter-case. In this way, activists’ support or otherwise for a scientific theory seems to depend more upon the inclusion of the bullet-pointed aspects above. Let’s examine Ms Minns claims more closely. “Cruelty” means “the intentional infliction of pain”. Synonyms of “intention“ are aim, purpose, intent, objective, object, goal, and target. So, are researchers “cruel”? Usually not. If one is a pain researcher, this “cruelty” could be technically true, though in reality pain is kept to an absolute minimum by allowing the animal to avoid the pain stimulus (this avoidance itself being used to measure sensitivity to the stimulus), but generally speaking causing pain isn’t the aim, purpose, intent, objective, object, goal or target of a piece of research, so cruel it isn’t. Is suffering the ‘object’ of research? Is it unnecessary? This depends upon what you deem necessary. If you deem scientific knowledge necessary, for its own sake or to understand or treat human and animal diseases, then yes it’s necessary. If you think it’s important to understand environmental processes and threats then yes it’s necessary. In the country she is referring to, the UK, it is illegal to use an animal if there is an alternative so it really does boil down to what an individual values. If you value human and animal life, there’s really no way one can be opposed to medical and veterinary research. Is it harmful to humans? Quite the contrary. Nor is it “cruel” to them. We have to assume that the sort of “harms” we’d be talking about are animals failing to pick up the “toxic” effects of a drug (although toxicity is essentially about dose – in the right dose everything’s toxic) or adverse reactions (ADRs). The thing about ADRs is that they are overwhelmingly caused by overdoses or underdoses by the patient or (worryingly) medical professionals. Of the remaining incidence, we have reactions to other drugs in the system and, very occasionally, a reaction to an individual’s physiology which could not have been predicted using any currently available means. This ADR gambit is identical to the one deployed by anti-vaxxers, perceiving very rare, entirely unpredictable events as more common, likely and severe than they are. All drugs are tested in humans before being prescribed to other humans, so ADRs that are one in several thousand are very unlikely to be screened out in trials involving thousands. I have another friend that I met more recently who’s an authority on the psychology of conspiracy theorists. He gets enough hate mail accusing him of being an alien lizard in a man-suit so I’ll leave his name out of this piece. I think that he’d recognize such narrative constructions, where the “science part” is applied to support the claims. It could be a freeze-framed shot of the twin towers collapsing being used to claim that they were brought down by Government explosives, since terrorists from Afghanistan, stealing three passenger airliners and crashing two of them into the tallest buildings on Manhattan isn’t fantastical enough. In could be a one-in-a-million ADR used to discourage vaccination for an infection that strikes 80% of the female population. It could also be the misuse of an irrelevant study into outdated practices to claim that animal experiments have a “31% success rate” (©Ray Greek). In essence, you can retro-fit a sciencey-sounding rationale to pretty much any preconceived notion if you misrepresent it enough and don’t submit it for peer-review. “Why” the protestors ask “would you use animal models if they don’t work?” Well, quite. We wouldn’t. Instead of constructing an elaborate theory about how animals are used when there are “better, cheaper, more humane” options and all the scientists know about it but keep their lips sealed (who even benefits from that scenario? Animal breeders?) except a plucky few (who happen to have a book out), a simpler answer is to realize that animal models can be indispensable in the pursuit of medical, veterinary and environmental science. So what do aliens, ADRs and animal tests have in common? Well, people have dressed up the science to talk bull**** about all three. Should any anti-vaxxers find themselves reading this, I am delighted to report that in the case of one vaccine, the combined MMR, money did play a part: it was the motive for Andrew Wakefield’s fraud. In addition, said Wakefield, “There is sufficient anxiety in my own mind for the long term safety of the polyvalent vaccine—that is, the MMR vaccination in combination—that I think it should be suspended in favour of the single vaccines,”. But said his 1998 patent application “The present invention relates to a new vaccine for the elimination of MMR and measles virus…” so, he was to also produce individual vaccines to be sold on the back of generating fear of the combined vaccine. In all, the company was projected to have a turnover of £72.5 million in the UK and US – that’s about $120 million. You can read about the plot in detail herein a piece from the British Medical Journal. Posted on April 3, 2014 April 3, 2014 by EditorPosted in Animal Rights News, NewsTagged animal rights conspiracy, animal suffering, Conspiracies, deborah minns. If one takes everything purported on this site to be 100% true it would seem that there is no mis-treatment of animals, no useless experiments, all animals having their spines broken to see if some random mix of chemicals will help it grow back really enjoy it, animals have no socialization and a monkey doesn’t feel any distress to see his mother being killed in front of him. The 3 R’s are fool proof and followed in all research facilities and is preventing any animal experimentation that could be done through other means, and all researchers are moral people that actually think about the fact that various animals will have to die for him to get his PHD, and there is no profit to be made from selling animals to labs. Oh, sorry, there was and will be in the whole history of animal research only one case where money played a role – the one you mentioned above? The truth is that one should not take anything for granted, you should confirm for yourself that the things people claim as true are indeed true. To a great extent ones common sense must play a role and in the case of animal research one must make some difficult moral decisions. The problem is that supporters of animal research are in general not willing to admit any faults in the current system and on the other side, those that are against animal research tend to aim for a utopian world with no harm done to any beings, which ofcourse is also impossible to achieve. The only thing I know for a fact is that today there is a lot of abuse in the world. Even humans (with legal rights) being cared for in care facilities are abused. Millions of animals are being killed every year for the “greater good” of research, many of which is used in testing cosmetic products. Animals must be given more protection under law to prevent abuse and the amounts of animals used in research should drastically reduce. One could also add meat eating to that list too. How many people believe that we need meat to be healthy?